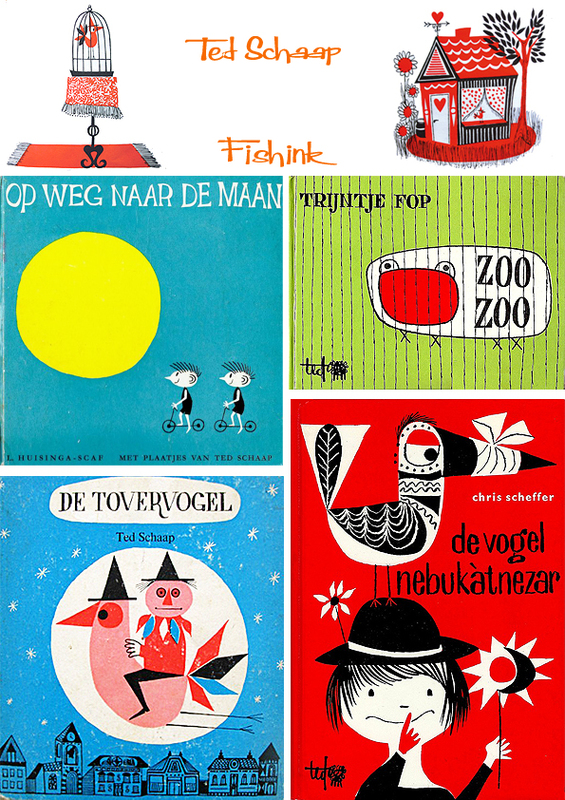 Ted Schaap / Scapa Illustrator from the 1960’s and still creating. 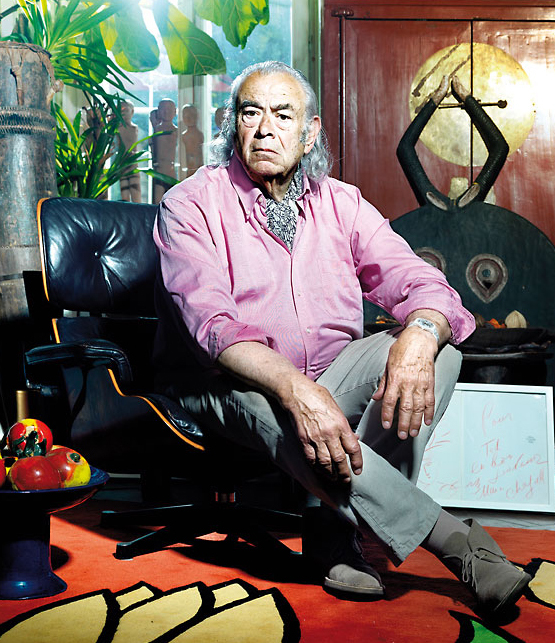 Ted Scapa (born January 17, 1931 in Amsterdam, as Edward Schaap) is a Dutch/Swiss contemporary artist, former publisher and television presenter. 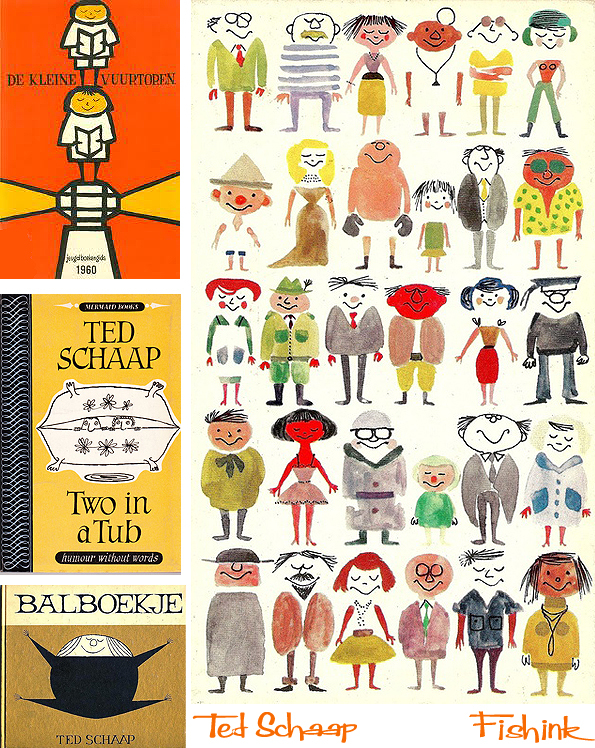 Sometime during his life Ted changed his name from Schaap to Scapa, hence there are designs with both surnames. 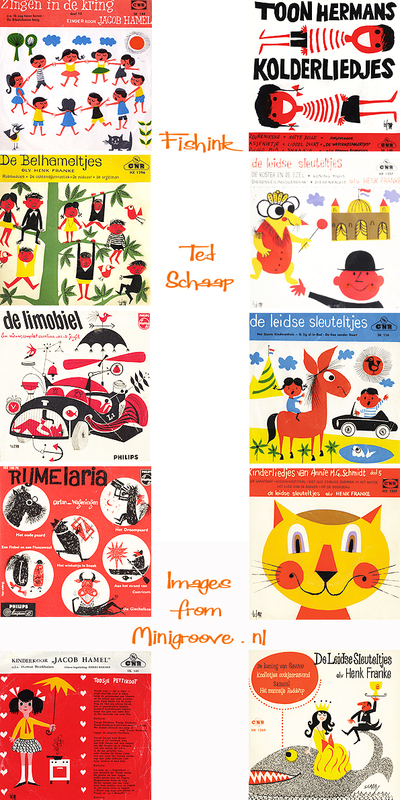 Here are some of his record cover designs for children. After studying graphic art at the Royal Academy of Art in The Hague and two years of military service as an officer in the Guards, Ted Scapa spent several years working abroad, including in India , Indonesia , Hong Kong and the United States . 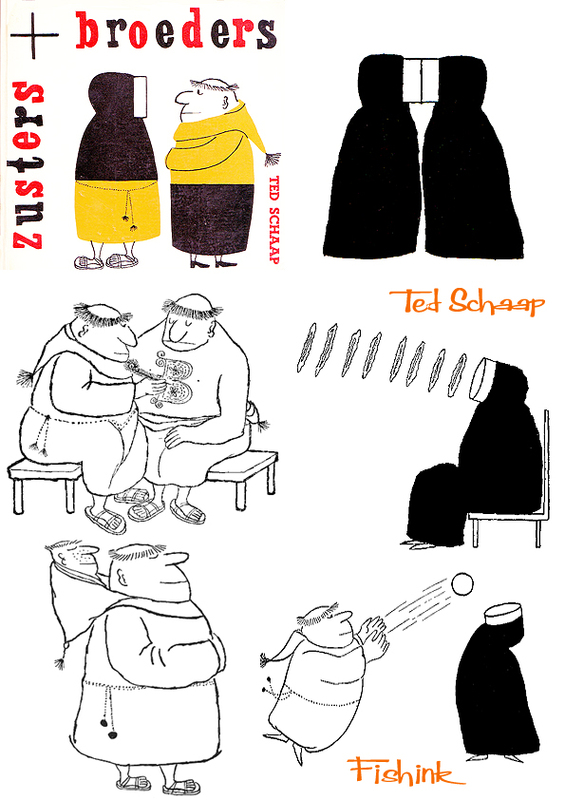 He illustrated as a cartoonist for various international newspapers and magazines such as Punch in England or the Nebelspalter in Switzerland , and has published numerous children’s books and collections of cartoons, like this called ‘Sisters and Brothers’. In 1962 he settled in Switzerland and married Benteli Meret Meyer, the daughter of the publisher Hans Meyer Benteli. He spent nearly thirty years the Benteli publishing in Bern and the associated printing. Ted Scapa was also a presenter of the children’s TV playhouse on Swiss television, and was nationally known in the 1960s and 1970s, as the principal figure. In 1991 he handed over the leadership to his son Publisher Till Schaap. 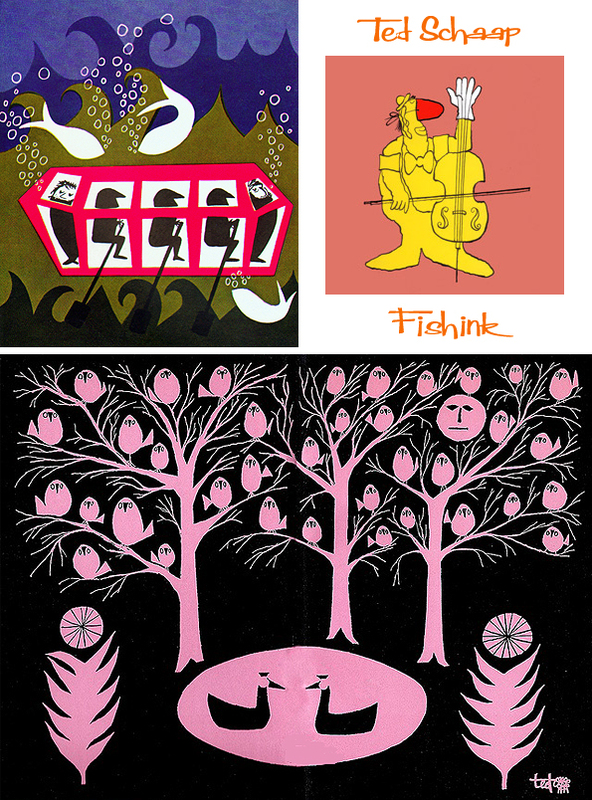 He has since resigned from the publishing, and still works as a freelance illustrator and designer . He draws, paints, designs carpets, created sculptures, objects and lampshades. He is also a designer of numerous posters and Pro Juventute known stamps. 8 July 2009, he has opened his own restaurant Scapa. In 2010 he opened his first and only museum: the “mini-museum Scapa” in the form of a showcase at the Children’s Museum Creaviva in the Zentrum Paul Klee . Here he is popular whilst running childrens and adult workshops . Ted Scapa is married, a father of three and grandfather of five. He lives at Castle Vallamand on Lake Murten . 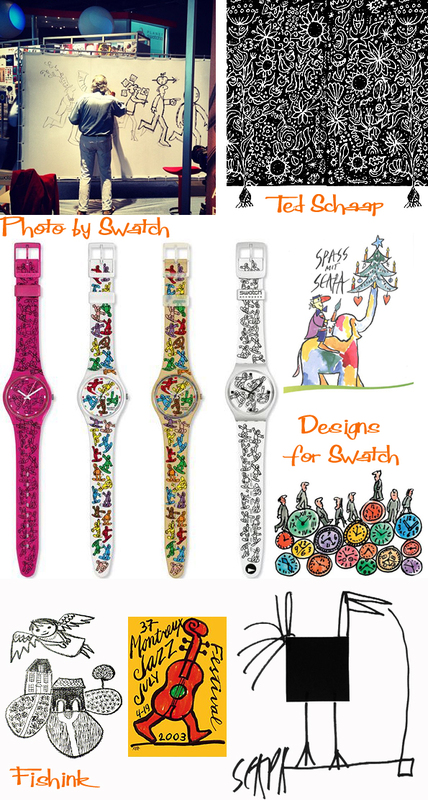 His work has been awarded several international prizes and he’s still painting today and creating watch straps for companies like Swatch. He also regularly contributes his time and energy to doing charity work. Well done Ted ! How kind, just noticed that Ted has shared this with his friends on facebook today ! Cool.